Detroit Michigan Wedding Planner Blog: FREE inside envelope liners !! 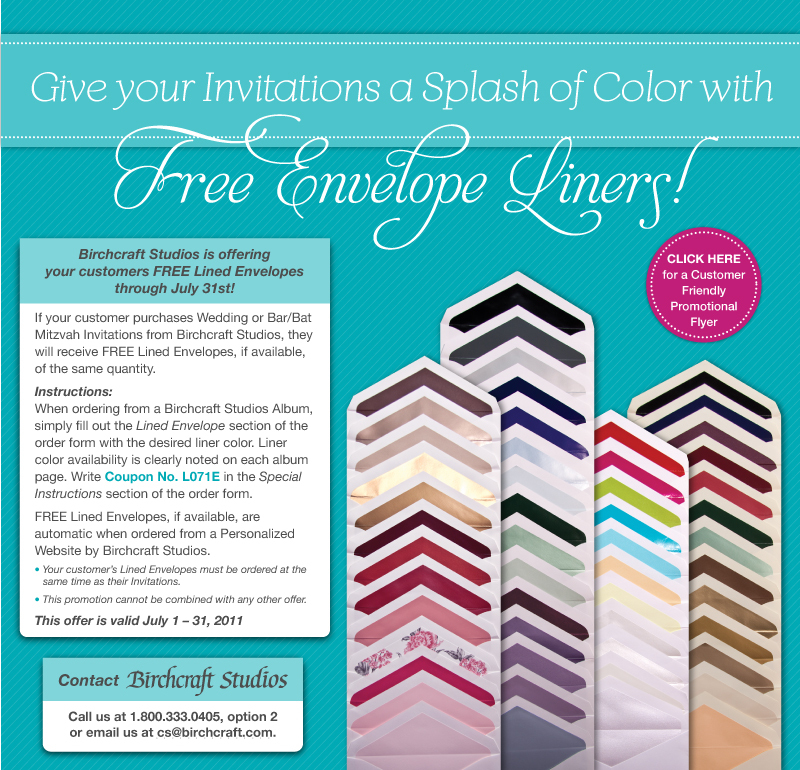 Place your wedding invitation order and receive free inside envelope liners now thru July 31st ! What a great way to add a splash of color to your invitations. Place your order on our website and receive a 40% discount http://yourinvitationplace.com/yourethebride Offer valid on Birchcraft brand only.